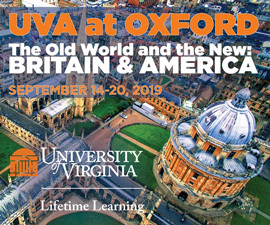 In recent years, we have taken numerous steps to make an exceptional UVA education accessible and affordable for the very best and brightest students, regardless of their financial circumstances. Our generous alumni and friends have remained steadfast partners in this effort to keep the University’s doors open to students from all backgrounds. Michael and Virginia White of Metairie, Louisiana, are one couple who have committed to giving back in this way. 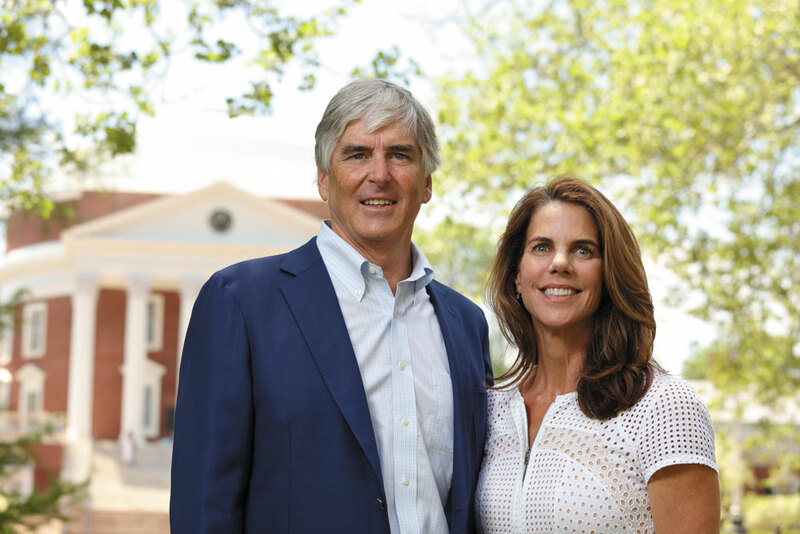 The Whites recently pledged $1 million to UVA to endow the Michael Bright White Scholarship Fund. Michael White (Col ’81) was born deaf due to complications at birth. In his youth, his family established the Bright School for the Deaf, in New Orleans, to assist with his speech and language development. For nearly 60 years, the school has continued to help children in his community who are deaf, hard of hearing, or language-delayed. 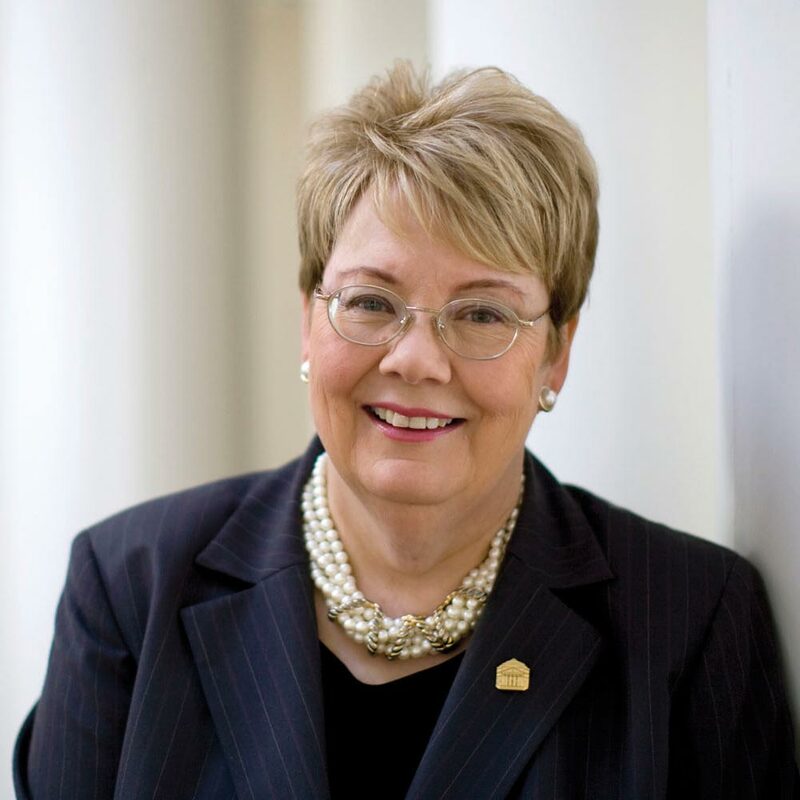 In 1981, White graduated from UVA’s College of Arts & Sciences with a bachelor’s degree in economics. 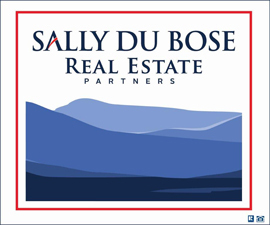 He has since achieved much success with private investment and real estate management companies. The scholarship that the Whites have pledged to establish will provide need-based aid to students. As part of their gift, the Whites have asked that the scholarship include two awarding preferences—for students who are deaf or planning to work with deaf children, and for students from Louisiana. Further increasing its impact, the Whites’ $1 million gift will be matched dollar for dollar, thanks to UVA’s new Bicentennial Scholars Fund Matching Program. The total endowment of $2 million will provide approximately $100,000 a year in support for students. This is the kind of transformational gift in support of student access and affordability that the Board of Visitors envisioned when it established the Bicentennial Scholars Fund in December, creating a permanent endowment of $300 million for student scholarships. It will be funded by donor gifts and matching funds from UVA’s Strategic Investment Fund. Over time, the Bicentennial Scholars Fund will relieve the burden of steadily increasing tuition to cover financial aid, creating instead a long-term endowment built on private philanthropy. Like the Whites, other members of our community have also echoed the University’s commitment to educating the nation’s best and brightest students, regardless of their financial situation, by giving to create named endowed scholarships that will be awarded and recognized in perpetuity. This spring, Larry Sabato (Col ’74), founder and director of the UVA Center for Politics, donated $100,000 to launch the Leonard and Jerry Sandridge Bicentennial Scholars Fund—in honor of the long-serving former executive vice president and chief operating officer and his wife. Sabato’s gift will receive $50,000 in matching funds from the Bicentennial Scholars Fund and will provide need-based scholarships to out-of-state undergraduate students. In December, just after the Board of Visitors’ announcement of the Fund’s creation, my husband, Doug, and I made a gift to the Bicentennial Scholars Fund. Given the students that it will benefit for generations to come, we believe that this is one of the most valuable commitments we could make for the future of the University. To recruit the very best students from all walks of life, we need to make sure that UVA remains accessible to students who face financial challenges. About a third of our first-year students are participating in the AccessUVA financial aid program this year. Looking ahead, financial need will continue to be an issue for our students, so student scholarships will remain among UVA’s top priorities for the future. The launch of the University’s bicentennial is now just a few months away, and the commitments we make now will shape UVA’s character for its third century. The creation of the Bicentennial Scholars Fund by the Board of Visitors sends a strong signal of our intention, now and in our next century, to make a UVA education affordable for talented students from all financial situations. Our promise is that excellence and affordability will always go hand in hand at UVA.